Heavenly blog! : Nr. 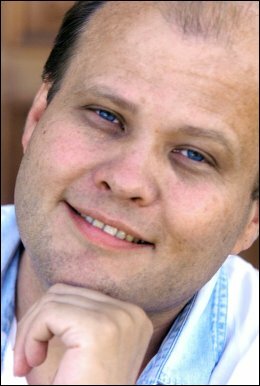 387: Pastor Jan Aage Torp is a phoney, fraudulent and false apostle! Nr. 387: Pastor Jan Aage Torp is a phoney, fraudulent and false apostle! Pastor Jan Aage Torp is a phoney, fraudulent and false apostle! Pastor Torp, who is it? From Wikipedia: Jan-Aage Torp (born 26 June 1957 in Japan) is a Norwegian pastor of the Free Church Pentecostal church Oslokirken. Outside the church, he is especially known in Norway for more controversial views and media initiatives. Internationally he hears at home in the mainstream of revivalist Christianity, and work closely with Christian leaders and political leaders in the U.S., Africa  and Asia. Torp has since 1992 appeared on numerous talk shows on Norwegian TV and Radio channels NRK (radio and TV), TV2, P4 Radio Hele Norway, Kanal24, Radio Norway, TVNorge, and has spoken out on issues that Jesus Preaching, the Christian church's role in society, homosexuality and family issues, abortion and euthanasia (euthanasia), exorcism, Islam's role in Norway and Israel / Middle East. Torp was the first candidate on the election list for the Christian Coalition Party in Oslo in the autumn of 2009 (end of quote). Torp, I have had some contact with, but God told me that he was corrupt and played a game to promote themselves and not me! I have had nothing to do with Torp, and God said to me that he was corrupt, was involved in a game and promoted themselves. Torp told me that we had to contact the blog if we did nothing and said nothing about each other, right after he deleted everything he had written about me. When Torp deleted everything, so I showed it in advance and had copied what was of importance. It was not much, read about this on the links as before. 1 Timothy 1:7 as they will be lovlærere, even though they neither understand what they say, or the things they so confidently speak. 1 Timothy 6:5 constantly quarreling among people who are corrupt minds and destitute of the truth, as they intend godliness for a way to gain. 1 Timothy 5:6 But whoever lives by his passions is living death. 2 Timothy 3:7 always learning and never able to come to the knowledge of the truth. 1 Genesis 4 9 Then the Lord said to Cain, Where is Abel, your brother? He said, I know not; should I my brother's keeper? When God spoke to Cain, it was with the intent that how he treated his brother Abel, so he had a relationship with God. Cain would not be their brother's keeper, even if he had killed him. Cain was a murderer and unkind. How are those that also lets watch the world go and ignore everything with everyone, such as Emanuel Minos is. He ignores anything and everything with everyone, and that is to be unloving and no spiritual Father. Open up to Jan Aage Torp and the people are of the same cloth, the same as opening up for demonic activity in the church and unclean spirits, worse than ever! 1. Tim. 5. 8 But if any provide not for his own, and most of his household, he has denied the faith and is worse than an infidel. Should be lifestyle Torp and get advice from the believers as one must expect it will be if his life and service to be widely accepted among the believers when he is a model and example for other believers Pastor and Shepherd. Will it create a maelstrom of chaos and it again will make way for the Antichrist and the False Prophet as they come! The new super-church that we find in Revelation where the lowest common denominator will be only a belief in God, then everything else accepted. Following the Bible - God's word - the life and teachings will be a thing of the past! For a future Emanuel Minos and peers creates to open up for Pastor Torp obviously not thrived in her first marriage, when he divorced and then married one who was 20 years younger than himself and his first wife. Not only Torp self-serving and self-centered, but he's a dirty old man and after what scripture says a whore buck! What scripture says? Ecclesiastes 2 8 I gathered me also silver and gold and the treasure of kings and provinces I got myself singers and what is human desire, a wife and more. January Aage Torp is exactly equal to King Solomon when he was an apostate king who gave in to his flesh. It helps not to believe and profess the name of Jesus if one does not follow the word of God in their lives. The stand is not too bad teaching God's word, but to remarry is sin and to commit adultery. Here Trop gone completely wild, he should have either lived alone or reconciled with his first wife and straight. That he has now remarried with one that is 20 years younger than himself and his first wife is a demonstration and completely obvious to everyone that he was not happy but when given an opportunity to live out his manhood might lose ? King Solomon said this is totally hitting on Pastor Torp: "what is man's desire, a wife and several." It does not reflect an fjomp that Emanuel Minos is, that he has prophesied over Torp both the one and the other. Torp is and remains a liar and a cheat, it should have been obvious to one and all! Here, you have been warned against following his example and support him and similar preachers and Christians! 2 Timothy 2:26 and wake up from his wine in the devil's snare, who they are caught, then they must do His will. It is here Torp, Minos and all others are who believe that such a life as Torp leads today has something with the living and true God. No and again a no, Torp is like the apostle Paul writes, "his wine in the devil's snare, who they are caught, so they have to do his will." Torp is a drug that is being capture and shrouded in lies and a powerful delusion that creates a maelstrom of chaos for those who believe in him and follows his example. Pastor Jan Aage Torp is a phoney, fraudulent and false apostle!